We don’t expect this theme to be new to Ubuntu Next subscribers because we have talked about it before in our Top 10 Themes for Ubuntu 16.04, but because the theme is still getting so much buzz it is the highlight theme for this week. The process of installing Masalla icon theme in Ubuntu and on other Ubuntu-based Linux distros such like Linux Mint, elementary OS etc is straightforward and easy, thanks to the .deb package provided by the developer. You can download the executable .deb file here. Install the icon pack by double-clicking on the downloadable file. We advice that you use Gdebi instead of Ubuntu Software Center if you are using Ubuntu because it is a lightweight and faster application than the quite sluggish Software Center. 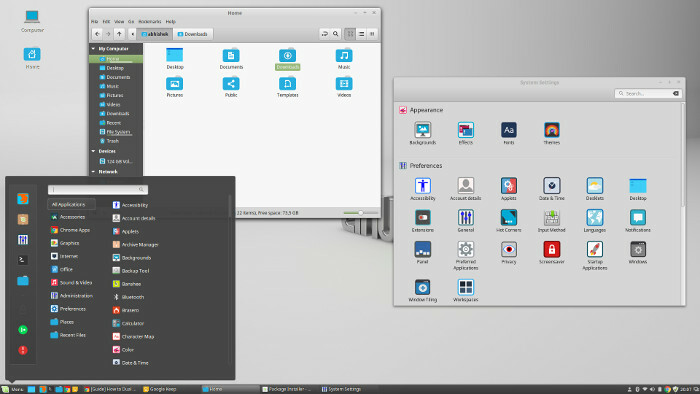 Masalla Icon theme is available for all the major desktop environments which include Unity, GNOME, KDE, Cinnamon, etc. You can change your icon themes using Unity Tweak Tool in Ubuntu Unity, Gnome Tweak Tool if you are using GNOME, and Elementary Tweak Tool if you are using the beautiful elementary OS. You can do it in the system settings itself for Linux Mint without using any third party tool. See what the theme looks like in Linux Mint 17.3 Cinnamon edition. You can also make use of the icon via the standard tool for your desktop environment. We hope you like this theme; please do share this guide to your friends and drop your comments in the comment section.